Our wee tour of the core Nikka blends and distillery offerings comes to an end with this Miyagikyo No Age whisky. I’ve enjoyed going back to these staple offerings and appreciating them with my improved experiences since originally discovering them years ago. Hopefully you’ve also appreciated this retrospective voyage or if you’ve missed out just click here for the Nikka reviews. 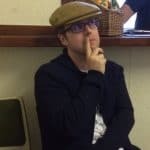 Rather than just jotting down my tasting notes I’ve tried as always to give a relevant introduction and background information. As with the Yoichi No Age whisky review this Miyagikyo is born out of the same situation; increasing demand for Japanese whisky. I know the distilleries say stocks are low but there are indepedent articles that suggest otherwise and that we’re in the midst of maximising profits. Certainly the profit on this No Age Statement release will be more than a staple 10 year old. I’m on the fence as you do expect products to be created to maxmise revenues in any business by tapping into that demand. The important aspects are always the quality of the whisky and the suggested asking price. Remember this is available only as a 50cl bottle so I always prefer to show the 70cl equivalent price to provide context versus its rivals. Interestingly if you were to purchase any of the 10, 12 or 15 year old Miyagikyo expressions these would be in 70cl bottles. Nose: caramel, rolled oats, red berries, orange peel and most bizarrely of all an off-putting note of melon. Taste: very young on the nose lots of wood with vanilla, balsa and what I can only describe as MDF. With water more roasted nuttiness appears with hazelnuts and pepper. A disappointing thumbs down and unfortunately exactly why some No Age Statement releases come in for criticism. You’re paying a premium price here for a substandard experience. I’d suggest taking a look at what else £40 or £50 can offer either with an high quality blended Scotch or releases from an independent bottler. Yep, I’m in total agreement with what you say about Japanese whisky. I’m not convinced these poor NAS expressions are because of a shortage of stock. Besides, Nikka and Suntory are massive business concerns and they could have invested in expansion years ago. 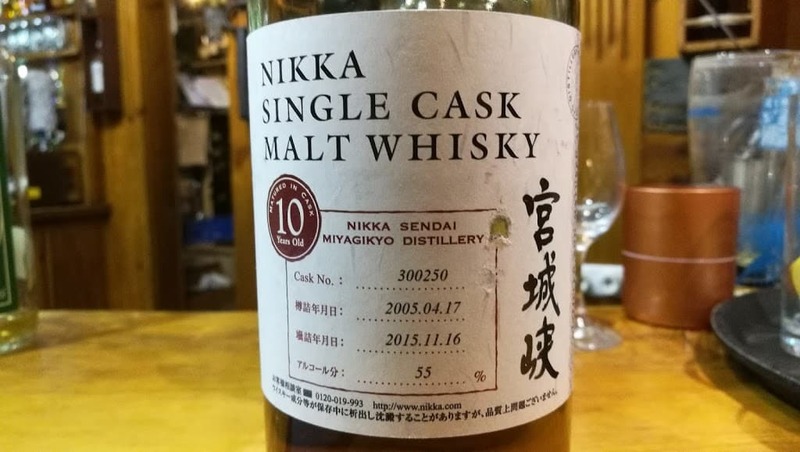 I wonder if this was a prototype for the now disappointing Miyagikyo NAS currently on offer. Actually, if that bottle was £30 I wouldn’t complain but the price is ridiculous for the quality on offer. 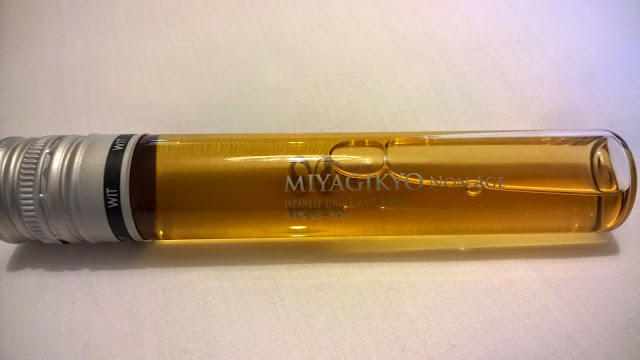 I’m a big fan of the Miyagikyo 10 and it was the one that flew under the radar. Interestingly, it was the one Serge marked the highest among the regular (10-12 yr) Nikka/Suntory age statements. Hi, just revisiting this piece now thanks to your comments and it’s amazing what has changed in only a couple of years. Sadly the Japanese sector is a victim of its success. Then a recent trip abroad highlighted a range of ‘fake’ Japanese whiskies that are built upon Scotch ingredients. Hopefully things will change, but prices rarely seem to come down nowadays. Yes, it’s all happened very fast and seems to be permanent. Even if we ever see a return of the age statements I shudder to think what the prices will be. Diageo did a U-turn recently after the flop of their premium Mortlach range which shows it can happen but I don’t think it will happen with Japanese whisky. I’m really sad to say it’s probably reached the end of the line for me. I know how that feels and it is a sad conclusion to what was a joyous whisky producer. Another review to update. Cheers, Jason. A very generous sample from the Scotch Malt Whisky Society 124.4 dubbed evocatively as full of secret pleasures. This in reality is a 17 year..